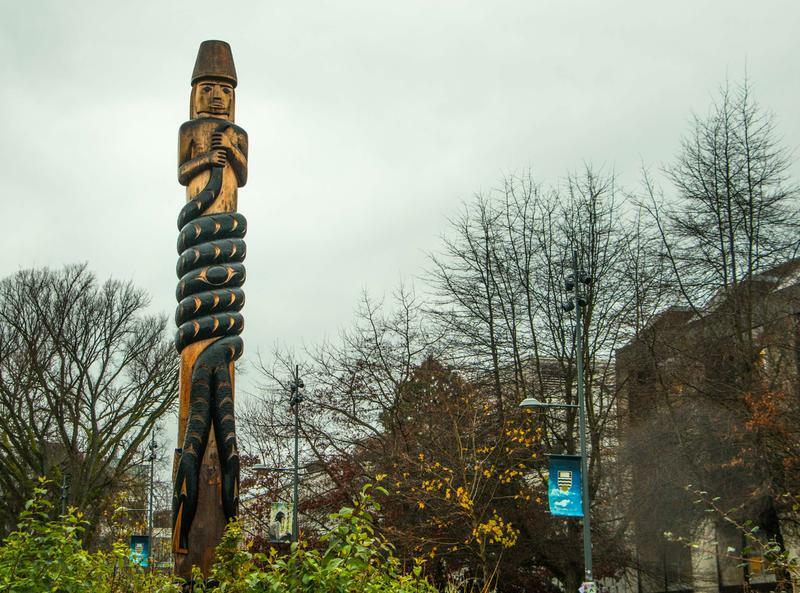 UBC has partnered with the First Nations House of Learning to update its language guidelines for referring to Indigenous peoples and cultures. As part of a larger university-wide commitment to reconciliation, the 17-page document provides guidance on a variety of language- and terminology-based topics. “All of these terms carry connotations that can be functional or harmful, depending upon context and their usage by powerful social institutions such as universities makes a real difference,” wrote Dr. Linc Kesler, FNIS associate professor and former senior advisor to UBC on Aboriginal affairs. Kesler underscored that the new guide is not a comprehensive treatment of the complex subject of appropriate language use. He emphasized that the terminology outlined in the guide will be subject to change and adaptation on an ongoing basis. The first point highlighted in the guide is the difference between the terms “people” and “peoples.” For stylistic purposes, “Aboriginal people” should be used to refer to a specific and distinct group, or when the scope of reference is clearly aggregated. “Aboriginal peoples” should be used in contexts that recognize multiple communities or a noted diversity of communities. As far as capitalization is concerned, UBC now uses uppercase letters for the following terms: “Aboriginal”, “Indigenous”, “First Nations”, “Métis” and “Inuit”. Formal titles such as “Chief”, “Hereditary Chief” and “Elder” should also be capitalized. “Aboriginal” is a general term that refers to First Nations, Inuit and Métis people in Canada, and is found in the Canadian constitution. Until recently, it was a preferred term, but many Indigenous people find it carries a negative association because of its government use. “Aboriginal” should only ever be used as an adjective, never as a noun. “Indigenous” is also a general term that encompasses the same groups, and is a preferred term for international usage. In its connection to international sovereignty movements, it is more closely associated with activism than with government usage, thus it has become a preferred descriptor for many communities in Canada. The document emphasizes the importance of being as specific as possible with language. Most reserve-based communities in Canada refer to themselves as “First Nations,” but specific band and community names should be used as much as possible (i.e. “Tsleil-waututh Nation” or “Squamish Nation”). Some groups, including the Musqueam, do not use “Nation” in their name. Inuit and Métis people should never be referred to as “First Nations,” as they represent specific ethnic groups with their own social and cultural history. Additionally, none of these groups should be referred to as “Canada’s Inuit” or “Canada’s Aboriginal” people. This is offensive and invokes a history of paternalism and colonialism. UBC Point Grey campus is situated on the traditional, ancestral and unceded (not turned over to the Crown by treaty or other agreement) land of the Musqueam. The city of Vancouver is on Musqueam, Squamish and Tsleil-waututh lands. It has become common practice to formally acknowledge this at events and in official documents. The language guidelines state the importance of territory recognitions not being pro-forma. The way to avoid this, UBC suggests, is for people to really think about why they are doing this and to acknowledge in their statement why it matters. The document concludes with a reiteration of the ever-evolving nature of language, and also a note that people’s fear of using the wrong word shouldn’t stifle important and necessary dialogue. “While nuances can be challenging to understand and navigate at times," the guide says, "every effort should be made to be specific and use the correct word in any given context."